Have even more enjoyable coffee breaks with this quirky crocheted dog coaster. Its sheer cuteness is guaranteed to put a smile on anyone’s face! The pattern contains detailed written instructions on how to make the crocheted dog coaster in one size. As always, you can tweak the directions and make the coaster any size you desire. Also included in the pattern is a video tutorial to aid you in crafting this awesome project. This crochet pattern is another wonderful design by Noramon Dron. 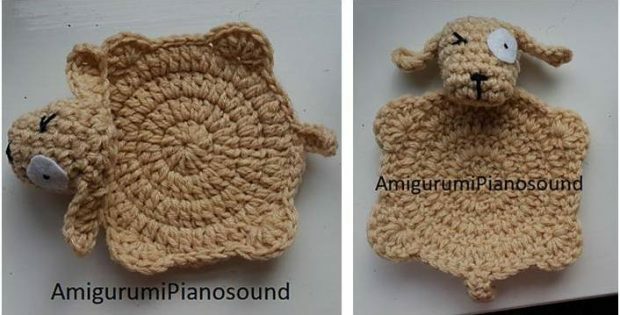 In fact, you can access the FREE pattern for this quirky crocheted coaster from the Amigurumi Piano Sound website. To access the FREE pattern for this fun crocheted home must-have, please click on this link: Crochet Dog Coaster Pattern. Watch this awesome video tutorial and start making your very own quirky crocheted dog coaster now! Featured image: Amigurumi Piano Sound/ Noramon Dron – thank you!